We rely on volunteers to help us get the word out about our FREE program and support. 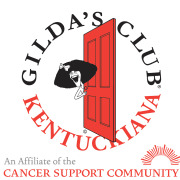 As a representative of Gilda's Club at health and community fairs across the city, you choose the dates and locations that work for you. Must be at least 18 years old. Training and materials will be provided. Must attend a New Volunteer Orientation prior to working in this role.